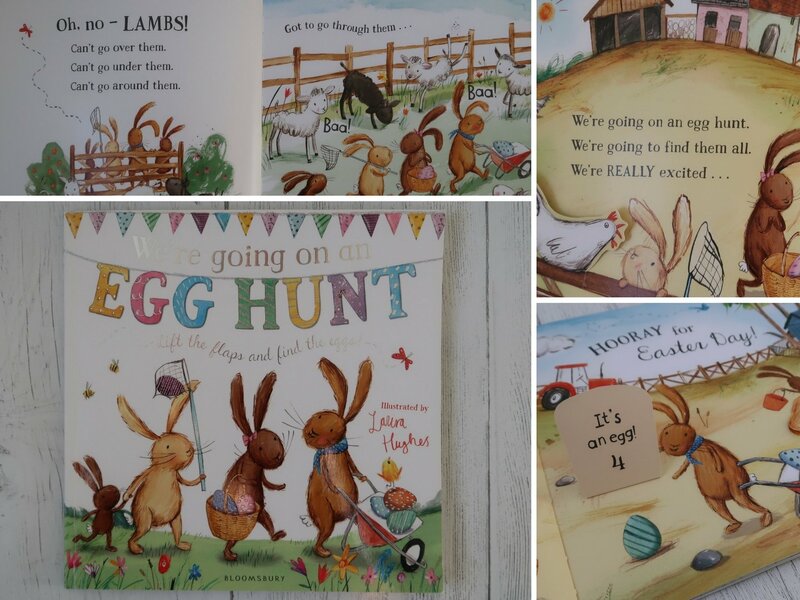 We’re Going on an Egg Hunt – What’s the Story? 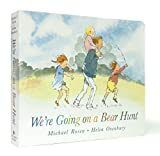 We’re Going on an Egg Hunt is an Easter adaptation of the must-have children’s book, We’re Going on a Bear Hunt by Michael Rosen. It follows the same style, but instead of a bear hunt, the family (of bunnies, naturally!) 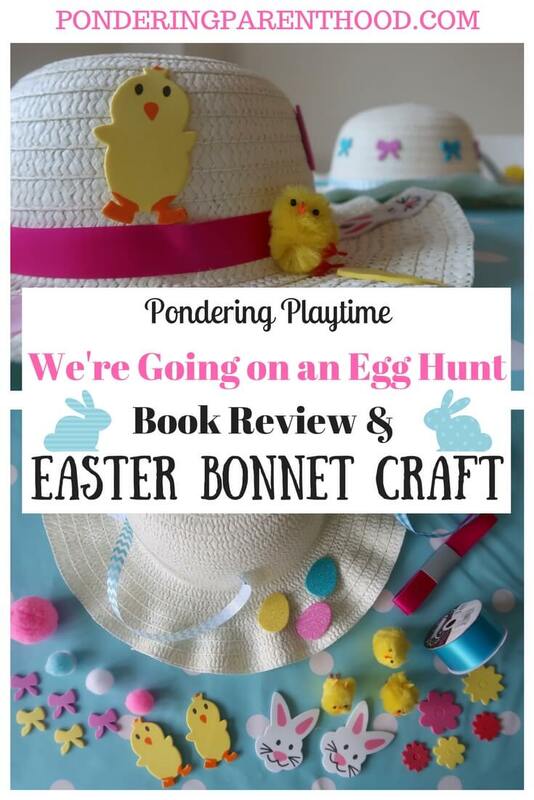 are hunting for Easter eggs! Not only that, but it’s a lift-the-flap book, so the reader can discover eggs and other surprises as they travel through the story. 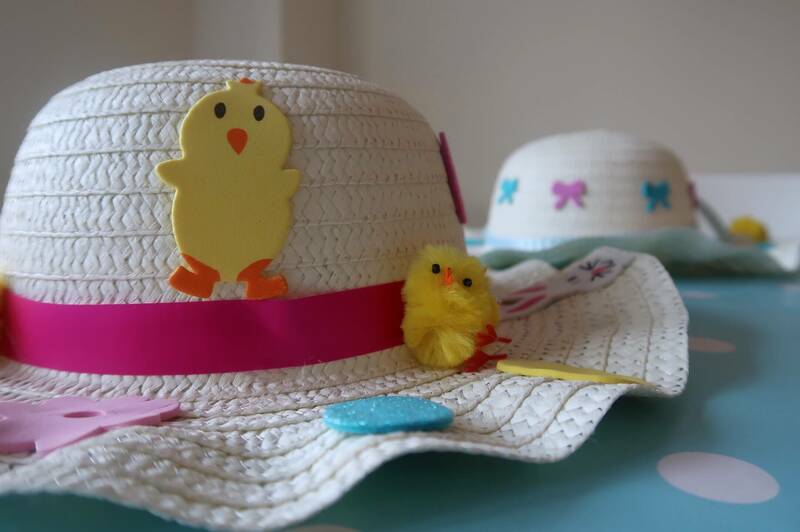 Of course, if you’re going to be going on an Easter egg hunt, then you need to have a beautifully decorated Easter bonnet! So for this activity, I got hold of a couple of plain Easter bonnets and various pieces of ribbon, chicks and Easter-themed foam sticks, so that M could decorate her own Easter bonnet. I used a hot glue gun (out of reach of M, obviously!) 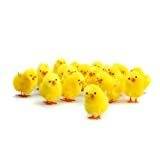 to stick the ribbon and chicks down. Although I did burn my finger, so I think I’d use superglue next time and just try to avoid sticking my fingers together! 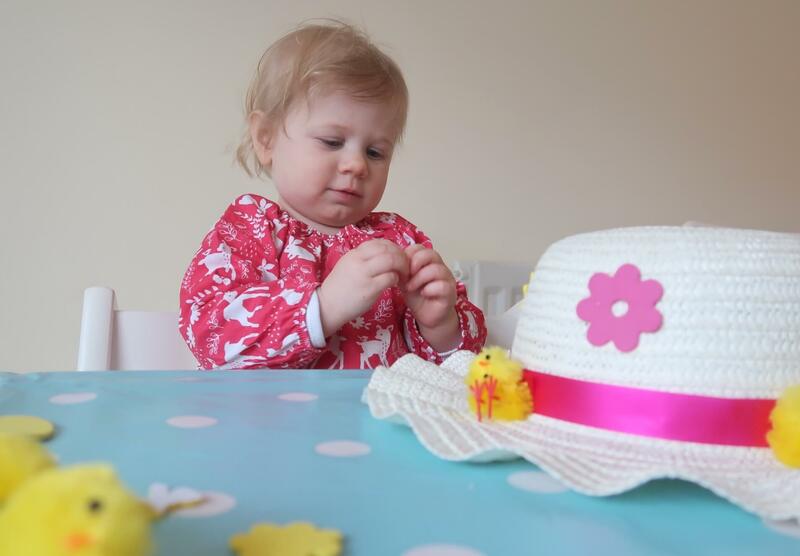 M was able to stick everything else onto her bonnet herself, as it was all self-adhesive. M really enjoys reading We’re Going on an Egg Hunt. We’ve had We’re Going on a Bear Hunt in our book collection for some time. Because of this, I think M enjoys the familiar rhythm of the story. She also loves a good lift-the-flap book. 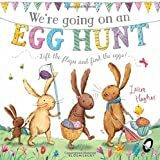 This has meant that We’re Going on an Egg Hunt has been a requested read many times already, despite Easter still being a few weeks away! 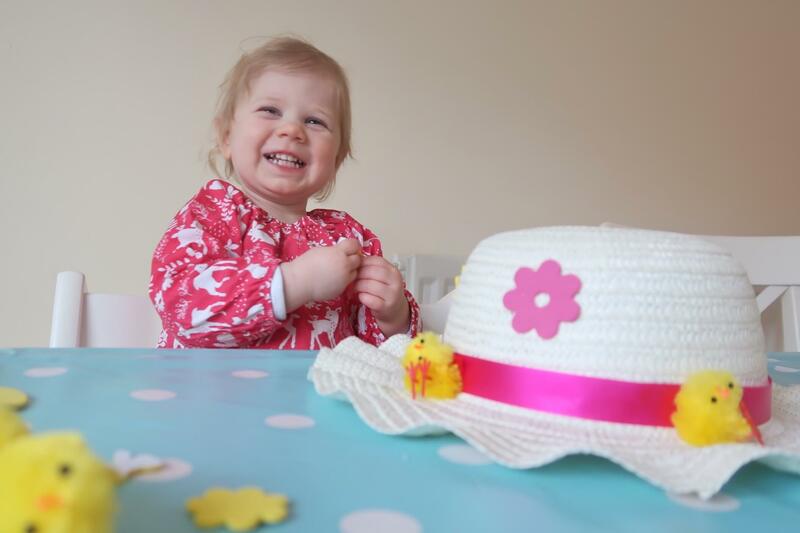 As for the Easter bonnet craft, I think burning my finger on the glue gun was a disaster. My first aid efforts meant that M lost interest in what we were doing by the time I’d returned! So I’d use something safer like super glue or even double-sided self adhesive dots so that M could stick the ribbon and chicks on herself. She did enjoy sticking on the foam stickers though, and has even progressed to peeling off the backing paper herself, so this was definitely good for her fine motor skills!